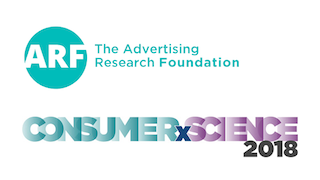 PlaceIQ today announced it will join the Advertising Research Foundation (ARF) for a featured presentation at its ConsumerXScience event. In a session for the event’s Customer Journey track, PlaceIQ’s EVP of Business Development, Nadya Kohl, and IRI’s SVP, Omnichannel Media, Jennifer Pelino will explore how brands are succeeding by layering location and purchase data together. This session will focus on how shifts in the customer journey are necessitating new marketing approaches for brands, with a greater emphasis on personalization. In addition, the session will highlight how these different datasets are giving brands clear visibility into the return on investment (ROI) of major marketing investments, in terms of driving foot traffic to retailers and product sales. • How are location data and purchase data helping brands to determine marketing successes? • As the customer journey has become increasingly complex, how are brands using both datasets to stay competitive, gather insights and optimize future marketing investments? • What successes are retail and CPG brands achieving with purchase data and location data? The ARF ConsumerXScience event focuses on a deep understanding of how consumer insights drive marketing success. Now in its 64th year, the conference features ground-breaking work in the areas of path-to-purchase, creative elements and consumer segments. The event attracts the best and brightest from brands, agencies, media, research companies and academia to steer the future of advertising.